-- If you’re interested in starting your own garden while getting healthy and fit at the same time, simply sign up with PG. You'll receive sound gardening advice and the knowledge to start and manage your own garden. One last cabbage photo from the fall 2018 garden, as well as a nice photo of romaine lettuce. I started all of these from seed, and the lettuce really performed well. 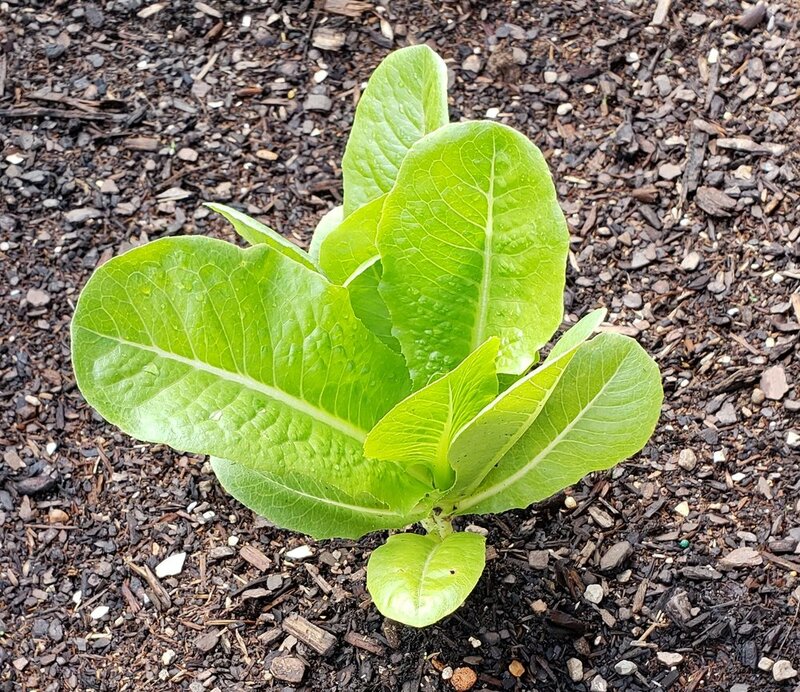 You can either pull the entire bunch or snip about an inch from the bottom and more leaves will grow. Perfect for salads and sandwiches. Here I have broccoli and kale, which are growing well. I usually cut the broccoli into bite size pieces and roast them in the oven. Very tasty. 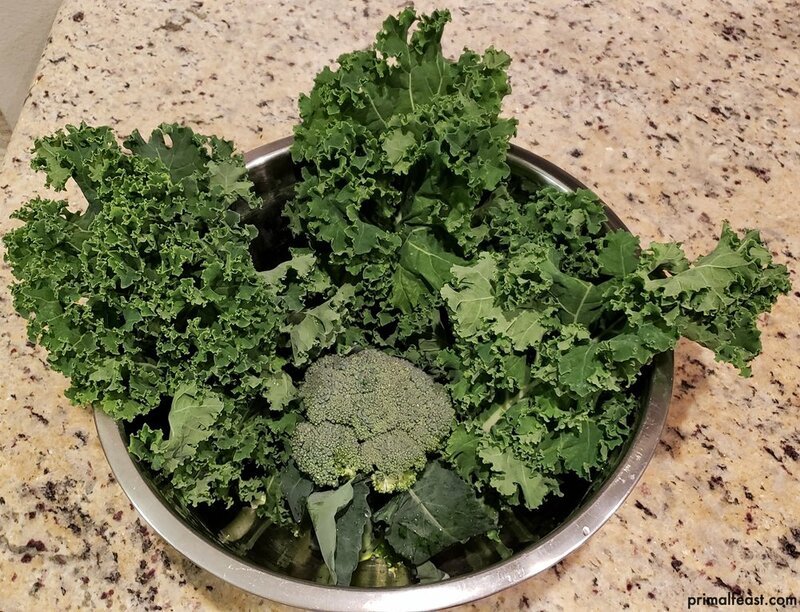 This is my first run at growing kale, and I’m getting more kale than I can consume. As I cut off leaves, more simply continue to grow. I usually put a big leaf in my daily protein smoothies. Fresh greens straight from the garden. I decided on 2 cauliflower plants, which turned out well. Once picked, I cut them into bite-size pieces, toss them with seasoning and oil, and roast them for about 20 minutes. Very tasty. 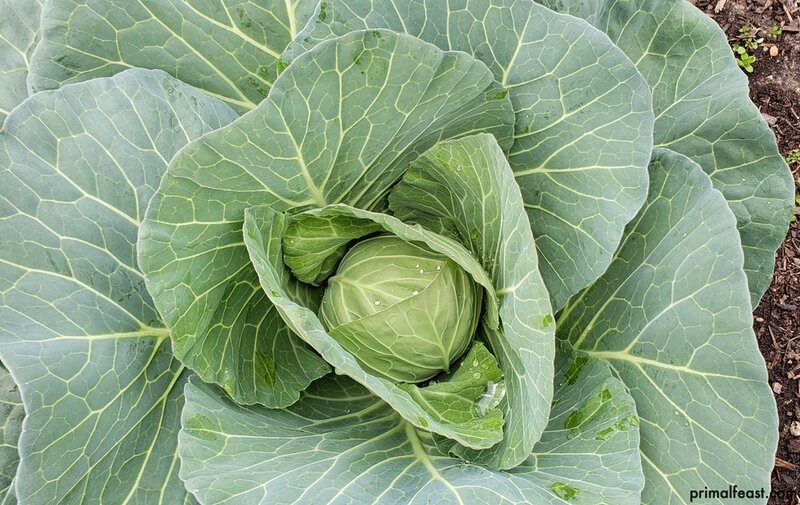 Another year of healthy cabbage in the primal gardens. I planted six starter pods, and all are growing well thus far. This collection of photos show the beginning stage of my Fall garden. These came from starter pods, which give me a head start, although soon I will try my hand at starting from seeds and soil in my own empty starter pods. So far, I’ve planted broccoli, cabbage, cauliflower, kale, and lettuce. 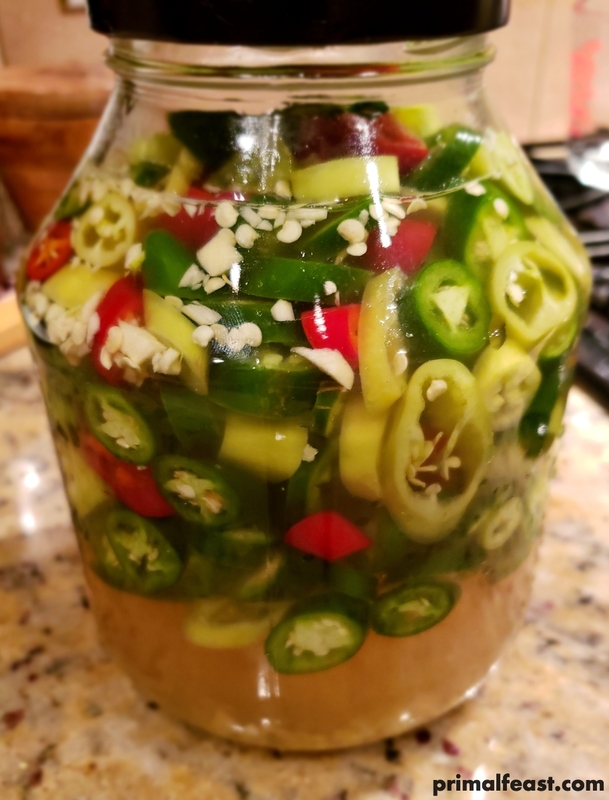 This post illustrates a very easy and delicious way to pickle the various hot peppers that I’ve harvested. The brine consists of heating in a sauce pan the following: 3 cups white vinegar, 2 cups water, 2 tbsp salt, and 1 tbsp sugar. The brine doesn’t need to boil rather simply get hot enough to dissolve the granules. Admittedly, I didn’t wait until all was dissolved, so I have a bit of granules in my pickling jar but no big deal. I also toss 1 clove of minced garlic into the jar, which adds great flavor. Keep it refrigerated and the peppers will taste better and better over time. Keep in mind, I’m not “canning”, which means the peppers could be stored at room temperature until opened. Instead, I’m simply making a brine, so the peppers will hang out in the refrigerator from the very beginning.